Дойде времето на дългоочаквания Узана Поляна Фест, 18-19-20 юли 2014, в местността Узана над Габрово. Ще бъдем там с изложба и работилница. Приготвили сме и кратка презентация за екологичните, практическите и креативни приложения на реюзването. Надяваме се да се видим там! Повече за феста от организаторите: тук и тук. The long awaited Uzana Polyana Fest is approaching – see you on the 19-20-21st of July 2014 in the Uzana area, near the city of Gabrovo, Bulgaria. We will be present with a current exhibition of our craft and we’ll be hosting a workshop. We have also prepared a presentation on the practical, creative and ecological implementations of reusing. More about the fest from our hosts here and here. * Kapana is the name of a popular district in the city center of Plovdiv, Bulgaria, but it also means “The Trap”, because of its web of beautiful, narrow, walking streets, most of which are one-way streets and/or dead-end streets. We present you GG Sisters – their brand is one of the ten winners of a contest, organized by the Municipal Foundation of Plovdiv. 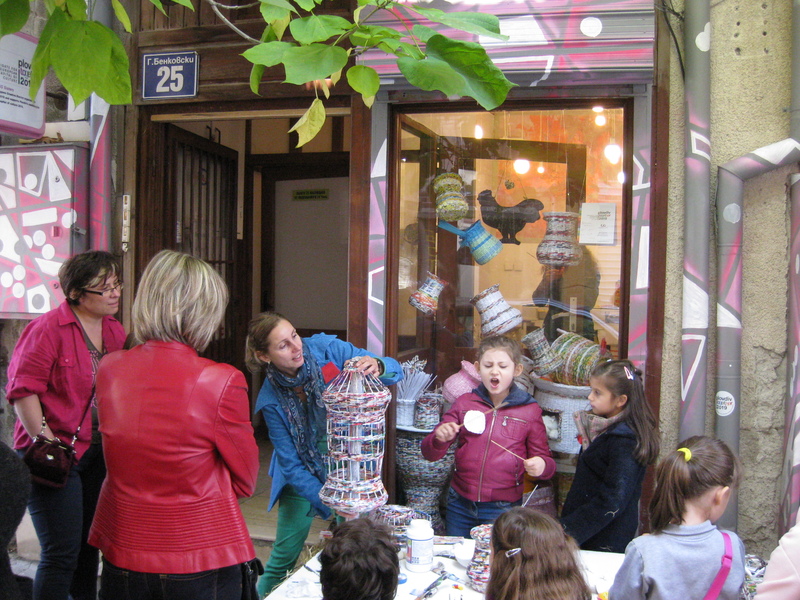 This contest is part of the initiative “Kapana – Creative District” and supports Plovdiv’s candidacy for European Capital of Culture 2019. Winners receive rent-free creative spaces in Kapana District for а year. 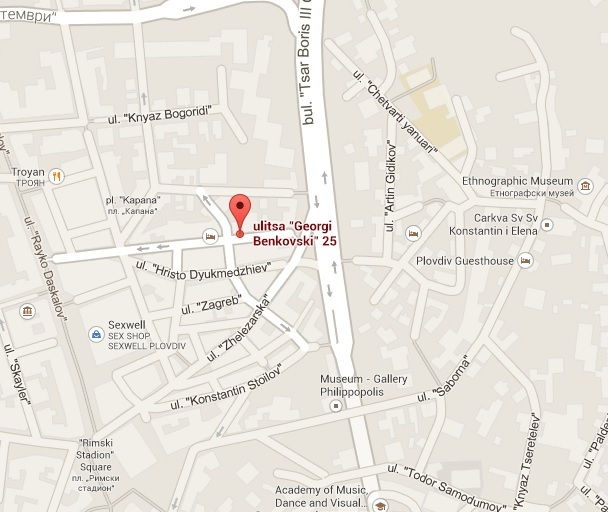 GG Sisters have their creative space on Georgi Benkovski Str. No 25. 1. Describe yourself and the work you will be doing in Каpana. Behind the name GG Sisters are me and my sister. 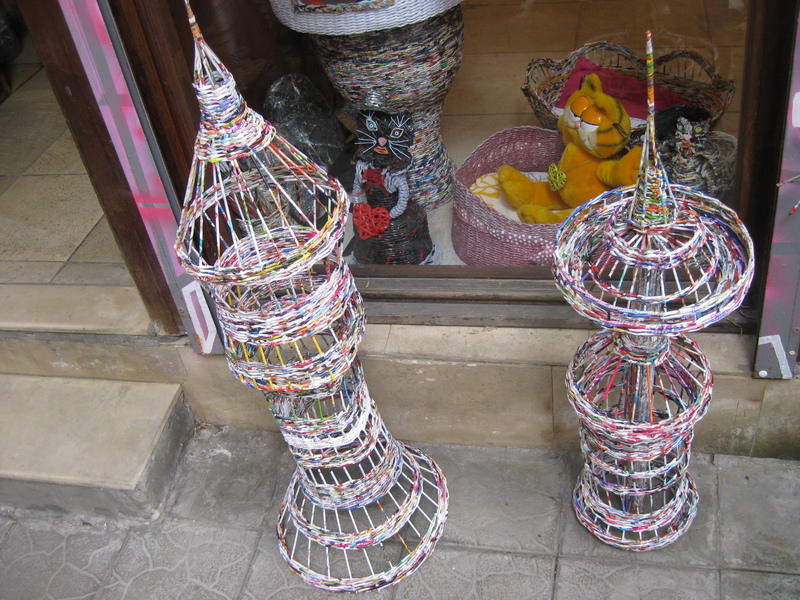 Together we devote all оur spare time to our craft – reusing excess paper and turning it into pieces of art. Modern urban population is buried under tons of excess paper: flyers, brochures, catalogs, all kinds of paper spam, old newspapers and magazines, used printing paper, old documents and so on… People throw these things out, but they are treasures for us – priceless materials for our creations! 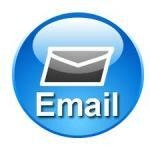 We are inspired by the idea of turning annoying SPAM into beautiful works of art with practical application. We are continuously rediscovering the potential of this material, and thus improving the creative impulse that drives us. There is no greater pleasure than making beauty “from scratch” with your own hands! 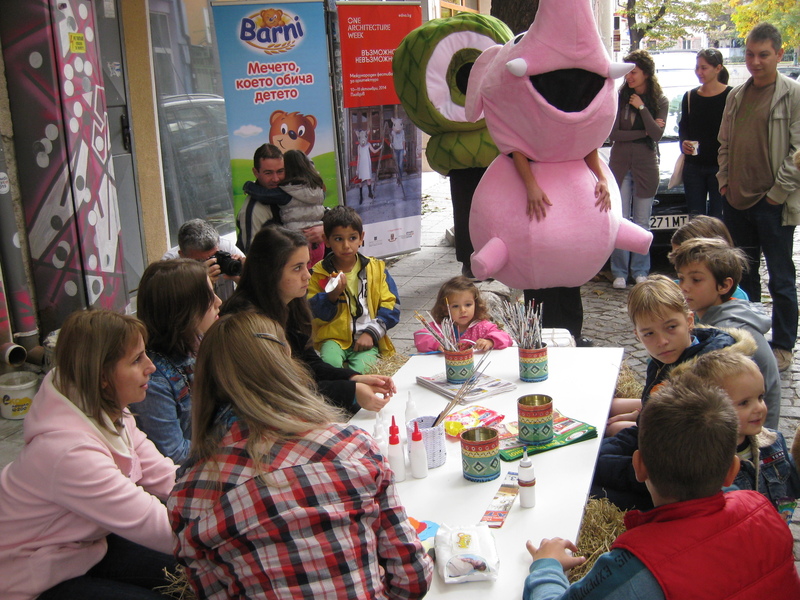 This is the main activity that will boil in the studio of GG Sisters in the creative district of Kapana, Georgi Benkovski Str. No 25, Plovdiv, Bulgaria. We are now making the final touches of the interior design of our studio, which is part of the project. The project has given us much needed space for a constant exhibition, where we will be able to meet with our clients, friends and supporters in person. There one can see both finished works and the creative process itself. Local and visiting artists will be presented too. 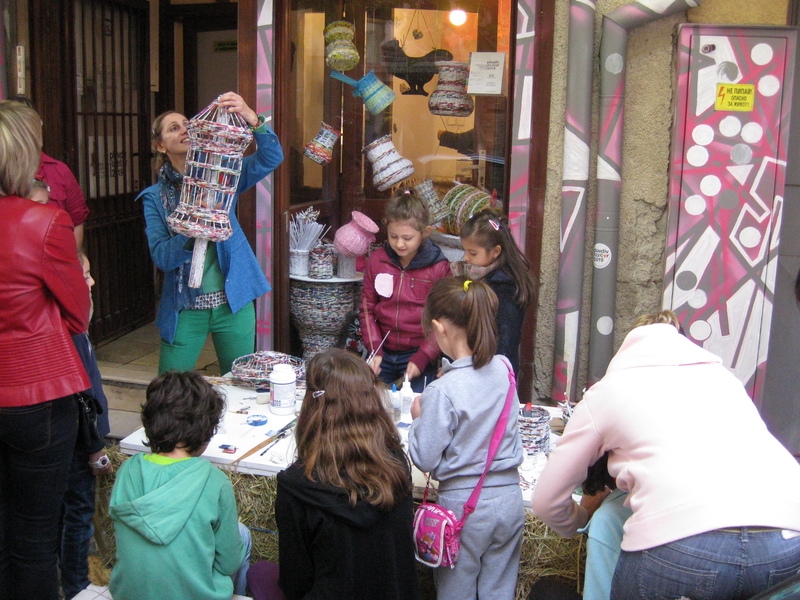 We continually share our skills and techniques with others, organizing and visiting various art workshops, thereby encouraging the environmental thinking and showing endless ways of reusing materials that most people consider unnecessary. Fortunately, our art enjoys growing acceptance and public popularity. Last year we took part in ten different events, sharing our knowledge, skills and talent to create beauty from reused paper. More information and pictures of our craft can be found in this blog and in our Facebook page. 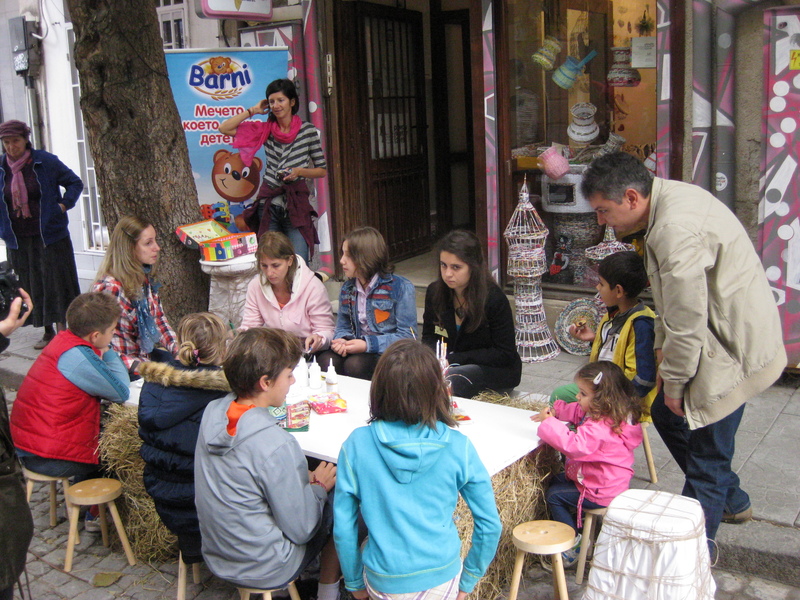 In May 2014 we took part in the Asenovgrad Feast and the White Stork Festival in Belozem. In June we went to the WakeUp Open Air Festival for the second time. This year’s edition was called “Back to the Roots”. 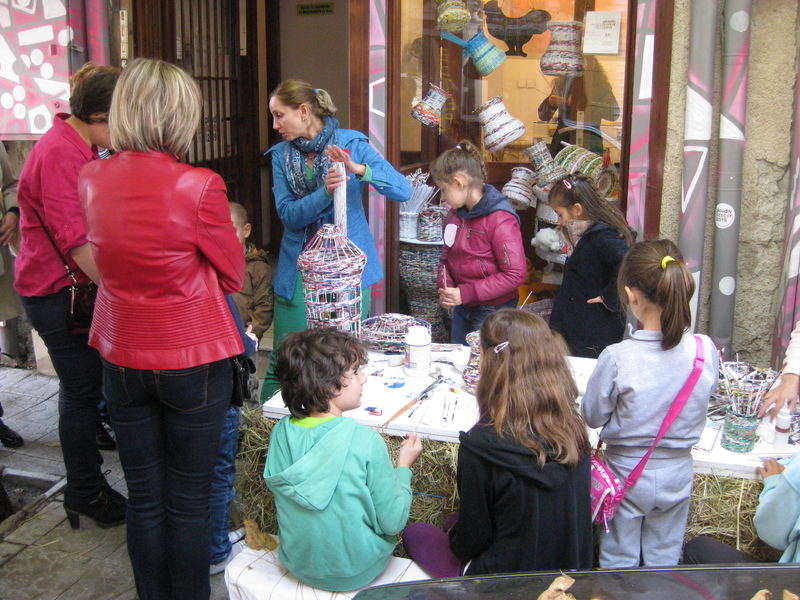 We organized demonstrations and workshops, and we had a current exhibition in two of the three days of the festival. 2. What characterizes Kapana, what associations do you have for it? If we compare our hometown with a living organism, Kapana is in the vibrant cultural, artistic and creative heart of the city. 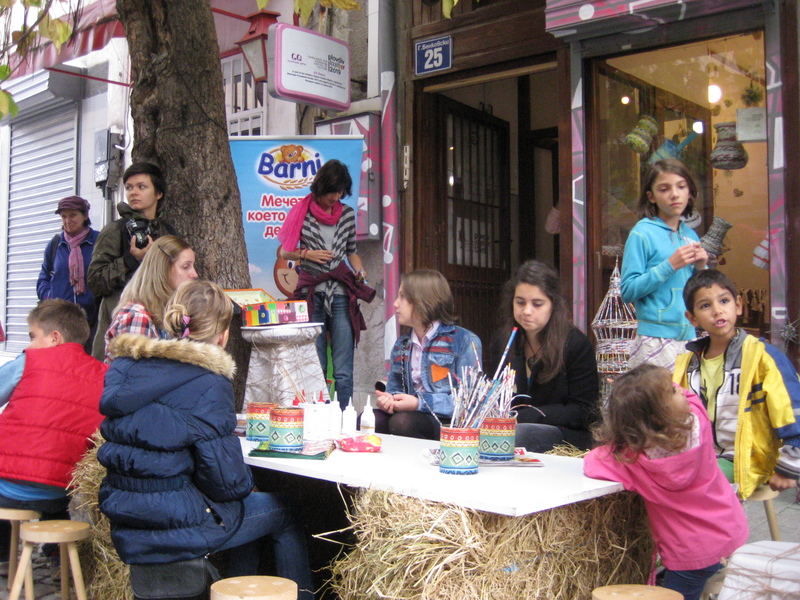 In our opinion there is no better place in Plovdiv for initiatives like this. 3. Why do you want to work in Kapana? The place is attractive enough with its location between the Main Street and the Old Town. 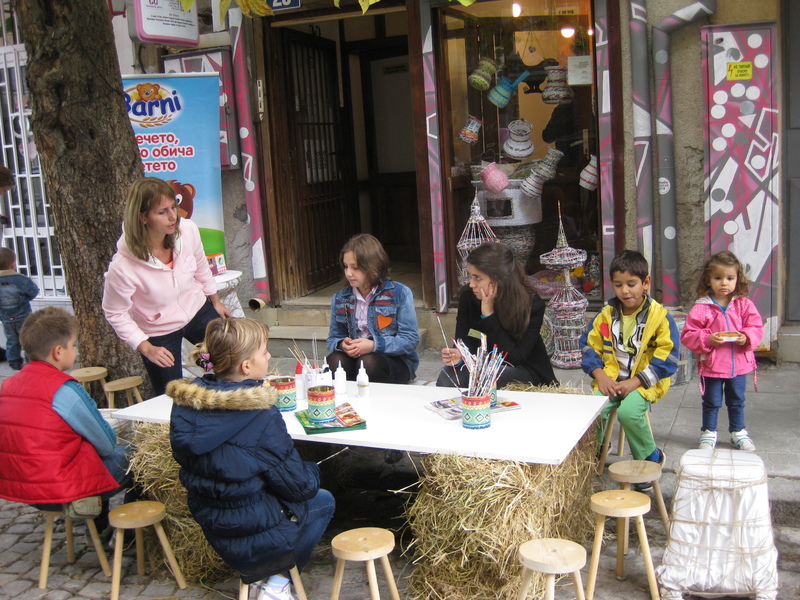 The neighborhood is characterized by a spirit of historical and cultural heritage. We expect our participation in the initiative of the Foundation to contribute to a permanent establishment of our art on the cultural map of the city. The attractive location will help, added to our joint efforts with other artists to turn Kapana into the district of creative industries in Plovdiv. Plovdiv is our hometown and Kapana is in its very own heart! To summarize, the district of the creative industries will make our work more accessible and easier to be seen. In return, we will contribute to the initiative and to Plovdiv’s candidacy for European Capital of Culture 2019 with our growing popularity, with our participation in various activities and events, with our daily online (and bilingual) connectivity with the audiences, with our know-how and skills, with our contacts in the artistic circles, and with our commitment to creativity. We do hope that all these factors will combine in making Kapana and the candidacy of Plovdiv for European Capital of Culture more visible / identifiable on the cultural map of Europe and in the European cultural calendar. 4. How do you imagine Kapana after a year? And in 2019? Certainly, the diversification of creative activities will help increase the attractiveness of this place for both Bulgarian and foreign visitors. It has emerged as an area with a high concentration of cultural and artistic spaces. In practice, with the launch of the initiative, this is already happening. One such initiative, launched today, will surely lead to the formation of Kapana as the first district of creative industries, which will boost the image of the city itself, combined with its rich cultural and historical heritage. This will add weight to the city’s candidacy for European Capital of Culture. 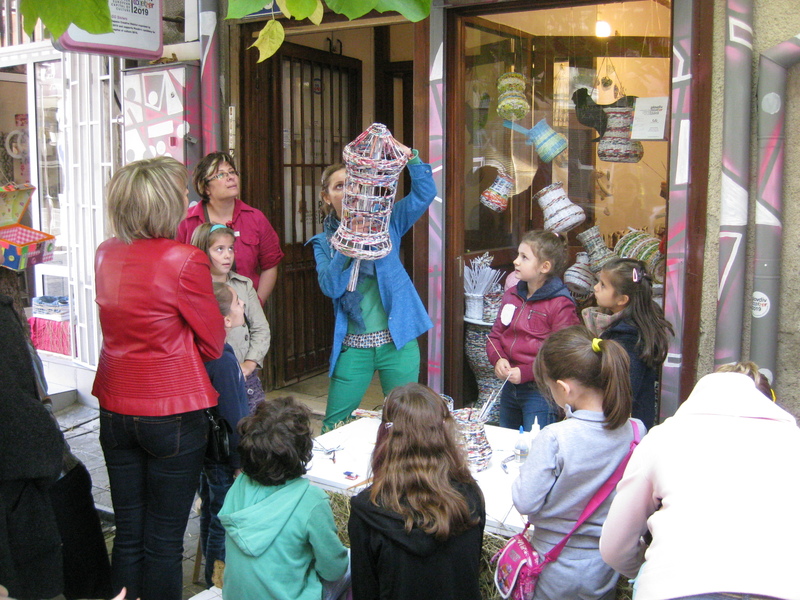 Joint activities with cultural operators in the district are gradually building up a network of association with other representatives of the creative industries, involving art workshops, festivals and exhibitions. Both our individual and collective efforts, together with the initiatives of the Foundation, and the desire of all of us to develop our creative identities in this place, will add completeness and commitment to our common goals, increasing the chance of success in Plovdiv’s candidacy for European Capital of Culture in 2019. Great successes are achieved in small steps and we have just laid the foundations. 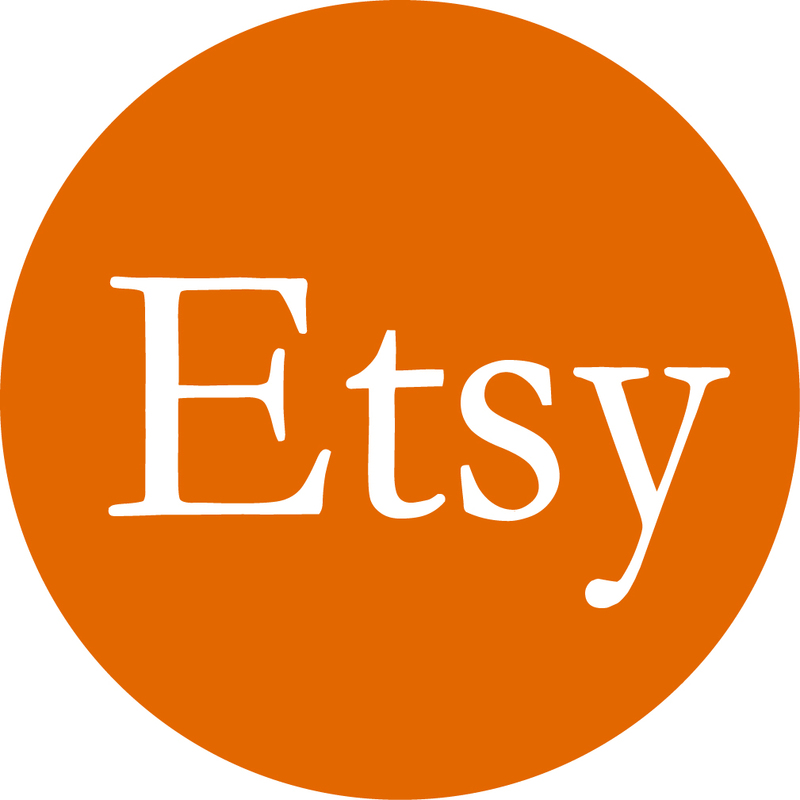 Coming up next: GG’s Handmade Gifts at Design Bazaar, on 29.06.2014, Magura Str., Kapana, Plovdiv, Bulgaria. 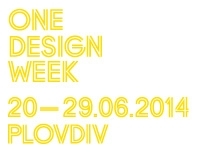 The event is part of One Design Week Plovdiv, 20-29.06.2014. As a matter of fact, we also did. 🙂 The atmosphere was entirely the “I like” type. “I Like” is a game of words and a nice way to translate the local dialect word for “Aylyak”. Aylyak basically means: being able to do nothing (on puropose) and enjoying it in the same time. Many thanx to our dear friend Cvetan Uzunov (you can see only his back in the picture) and many thanx to Mihaela Mihaylova, as well, for inviting us to this fest! 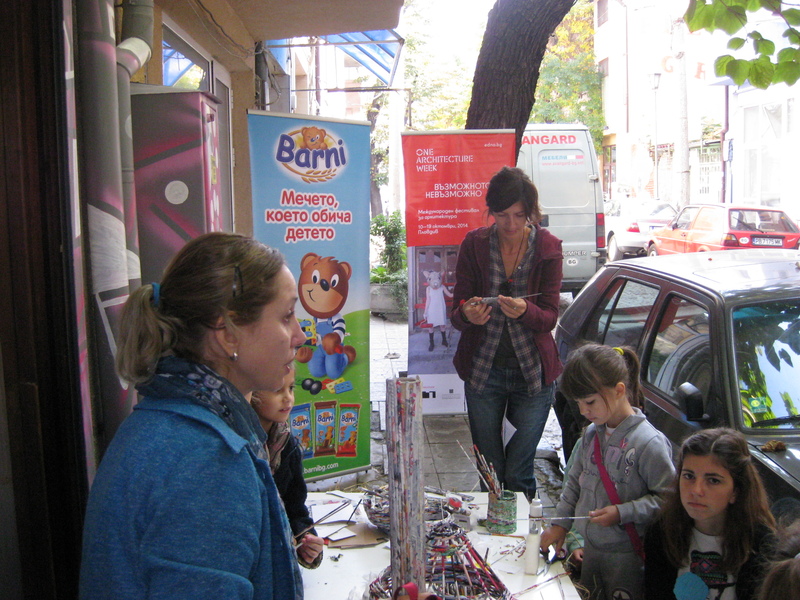 Two very nice grils (a mother and her daughter) visited our workshop in order to learn how to make “Tony’s Spoons”. Tony is a boy who had taught us on a previous festival the technology of making spoons from recycled paper. It’s a teamwork for two. We will definitely discuss on this topic later, in another publication. Click on the links in the text above to get a more visual perspective.